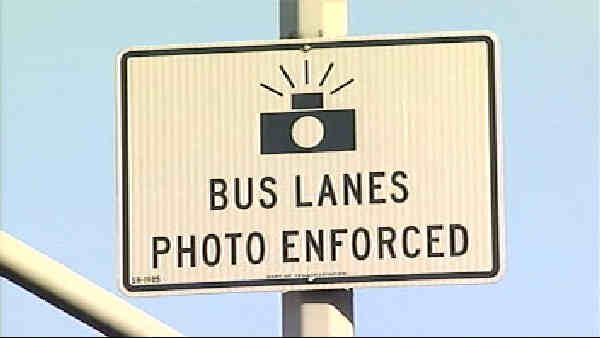 NEW YORK (WABC) -- Beginning on Monday, January 9th the Department of Transportation will issue a camera violation for any vehicle caught traveling on the M23 bus route. The DOT has already activated cameras along ten NYC bus routes. It is an attempt to reduce the travel times for over hundreds of thousands of commuters by clearing the bus lanes. M23 Select Bus Service runs crosstown on 23rd Street. Everyday 2.5 million commuters ride on NYC buses. Signs indicate when the cameras are in operation and the laws will be enforced. The violations are issued against the vehicle, not the driver, so points will not be not deducted from the driver's licenses. Other routes will eventually be added and the NYPD will enforce the violations.